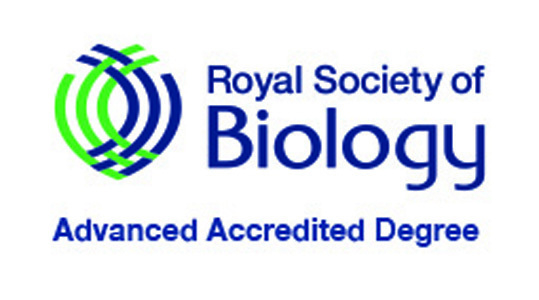 All our integrated masters (MSci) programmes in Biological and Biomedical Sciences are now fully accredited by the Royal Society of Biology. Previously they had been granted interim Advanced Accreditation, when our degrees had not yet had any graduates. This award builds on the accreditation of our BSc Honours programmes awarded by the Royal Society of Biology in 2016, and makes Dundee one of only eleven universities in the UK to offer a suite of courses which are both accredited at BSc Honours level and have advanced accreditation at MSci level. Accreditation by the Society means our courses are recognised for their academic rigor and excellence. In addition, it acknowledges that we equip our graduates with solid academic foundations and the skills employers are looking for.